a bill of music, taking place across Southbank Centre’s site from 15–24 June 2018. Meltdown festival is famed for bringing to life the world of its director. 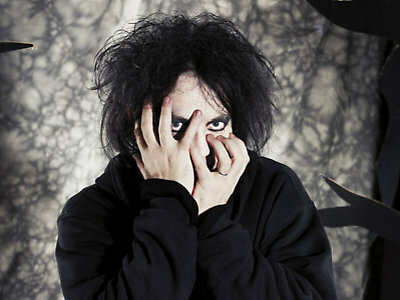 For this jubilee year, Robert Smith has hand-picked some of his favourite bands to perform. The line-up promises rare live performances and one-off shows from stadium and arena acts including Deftones, The Libertines, Manic Street Preachers, Mogwai, My Bloody Valentine, Nine Inch Nails, Placebo and The Psychedelic Furs – many of them making their debut in Southbank Centre’s Royal Festival Hall. Robert Smith’s Meltdown is also the first major festival to take over Southbank Centre’s newly re-opened venues, the Queen Elizabeth Hall and Purcell Room. After two years of detailed re-design and refurbishment, the spaces provide even more opportunities for intimate gigs and fresh new talent.